We help the candidate to set his goal and choose the right career. English Speaking Course in Chandigarh: Surbhi Academy is known as the best academy for English speaking course in Chandigarh, Mohali, Panchkula & Kurukshetra. Our trainers are experts and are committed to bringing excellence in making English a spoken language for everyday use. Our objective is to make you perfect in English Speaking Course in Chandigarh and to achieve our objective we work on different modules which will help you in improving your skills and afterward then you have a good command of English language. The English Language is the only language which prefers all around. It is the link language because if you look all around the globe then you may notice that English is the most common language which preferred more than other languages. Moreover, Chandigarh is called the commercial capital of the Punjab and Haryana. 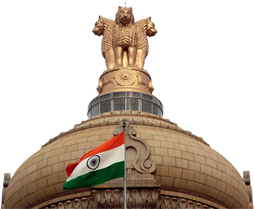 There are many foreign & domestic industries having their base here in Chandigarh. So, being the hub of all these industries, it creates a huge job opportunity for the populace of Chandigarh. No matter how many job openings are there, there will always be more people wanting those jobs. In this scenario of increased competition for jobs, only those with better communication and spoken English skills along with educational qualifications are selected. This makes it basic that we learn the required set of spoken English skills to make it to the goal. Surbhi Academy English speaking Basic Course in Chandigarh is distinctive for various ventures and is constantly custom fitted to meet the necessities of the students. There is a need of Spoken English Speaking Course in Chandigarh as English is a globally spoken language, so when you need to venture out of your comfort zone and explore new associations knowing English transforms into a noteworthy piece of it. Spoken English courses have become more important than ever before because they help to improve your communication skills a great deal. Surbhi Academy, Chandigarh provides English speaking course in Chandigarh sector 34 in creative writing and vocabulary development. Below we have discussed important English tips that are often taught to the foreign language speakers coming into English. These tips not only help learn English, but they are can also help to improve English skills. Be confident and speak as often as possible to as many people as you possibly can in English! Do not be shy to make errors! The more you practice for speaking English the better and more confident you will become in your pronunciation and vocabulary. This is one of the greatest tips for improving English at any stage of learning the language keeping a diary. It allows you to use all of the English skills that you’ve been practicing with reading, listening, and grammar. With this you can go back over your entries and grade yourself, noting where you can improve more. Move toward becoming companions with English speakers or others figuring out how to communicate in English and collaborate. Discuss things that you have learned and attempt to exchange thoughts. Have a debate and debate on all the topics that you are interested to discuss with friends in English. To get your point across, try to use as much vocabulary as you can. Read a book, newspaper and journal in English that is just above your current level of reading with a dictionary. In a fun way, this will help you to learn new vocabulary words. This is also a great tip for improving English in a technical field. Your skills can improve drastically, Even by spending a mere 15 minutes a day. Select the word you would like to work on and use practice it in different sentences. Until you have learned it, Use the word and keep using it regularly. This activity will help improve both listening and vocabulary at the same time. It is good to use subtitles at first, and then turn the subtitles off when the listening part of this activity becomes easier. If you are not a local English speaker, at that point it is an extraordinary plan to grow your English aptitudes. There are numerous incredible motivations to learn English and talk it fluidly. English is talked by a huge number of individuals around the globe and it is the sign language of business. If you can talk the language well, at that point you will find that many opportunities are suddenly open to you. The first thing to consider is which kind of English learning will suit your requirements and your accessibility the best. You can either take classes that are face to face, purchase a product program to show you the language or you can take classes that are conveyed online through different live video programs. Whichever style you pick, there will be benefits that run with it. There are some great things about every sort of learning and you need to pick the one that matches your necessities generally nearly. A face to face and personal class frequently suits individuals as they may want to have the connection this permits. Surbhi academy provides the best English speaking course in Chandigarh and helps you to solve your queries. If you choose to have lessons that are face to face, you should look at the procedure that the educator uses to guarantee that it will show you in the best way. The class should allow you a significant amount of time to utilize the language and working on talking. The teacher should also instruct totally in English. The guideline o should be in the target language with the goal that you create solid listening aptitudes and a vibe for the dialect all the more rapidly. The structure of the lesson should be something like – present the target language for the lesson, practice it with educator support and then you should have to produce the language independently. If have the capacity to learn English Speaking successfully, at that point you have to pick the correct conveyance technique for you that is Surbhi Academy Chandigarh. There are great choices out there; however, they all need to help with building solid communication skills. In the event that you can communicate in English well, you will have a mess of chances open up to you. Getting English speaking course in Chandigarh from Surbhi academy can profit you from numerous points of view. If you need to figure out how to communicate in English fluidly and might want to enroll in some good English speaking course at Chandigarh, at that point, you have to go through the below list. 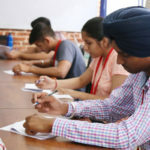 Despite the fact that, there are several institutes in Chandigarh that give spoken English classes however we guide you to join the one which has a decent reputation and really conveys results. 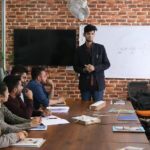 Appearing for a job interview, traveling to another country for higher examinations, conversing with your customers or simply typical correspondence, communicated in English aptitudes have turned into a need. Joining a communicated in English course in Chandigarh will emphatically help you to a considerable degree yet guarantee that you pick your institute carefully. Develop your today and tomorrow by joining English speaking courses in Chandigarh from Surbhi Academy – Plan Your Visit Now! 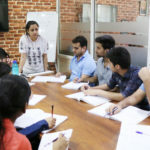 We have assembled the list of some institutes that provide English speaking classes in Chandigarh and have a decent reputation. All things considered, it is better to seek after a quality course with devotion rather than wasting your time and cash in some low standard organization where trainers additionally struggle while communicating in English. Here’s the list of best Spoken English Institutes in Chandigarh. Chandigarh Academy of the English language is a leading Institute which offers spoken English courses in Chandigarh. Both the young learners as well as the working professionals can approach this institute to learn the English language thus providing a boost to them both personally and professionally. The facility here makes use of a modern teaching approach which helps the students cope up and improve in the areas where they lack. A serious learning environment which caters the need of most of the students is found here. Surbhi Academy is one of the best which provides English speaking course in Chandigarh known for teaching and thus helping the students to inculcate confidence while making use of the language. Public speaking courses are the forte of Surbhi Academy. Surbhi Academy had been established a decade ago and has been known to sharpen the skills and communication power of the students ever since. IELTS Learning offers English Speaking course in Chandigarh Sector 34 and is one of the leading communication training providers within tricity. In the corporate world, you sometimes need to have a good base and control over the English language as it is the basic ground for communication. Children, adults, homemakers and working professionals all can learn English from the best English speaking Institute in Chandigarh. The Surbhi academy in Chandigarh has an experienced faculty. They are prepared to give interactive English getting by utilizing interesting and creative strategies. The instructors at the academy train and mentor understudies in a way that they are able to pick up the nuances of the language more easily. Surbhi academy has designed the course in a manner that the students are able to learn from direct interaction with the teacher. The Surbhi academy in Chandigarh offers personalized attention to students using interesting topics and verbal discussions. The faculty is also always available to provide guided learning. Students are always free to come to the teachers with their queries. 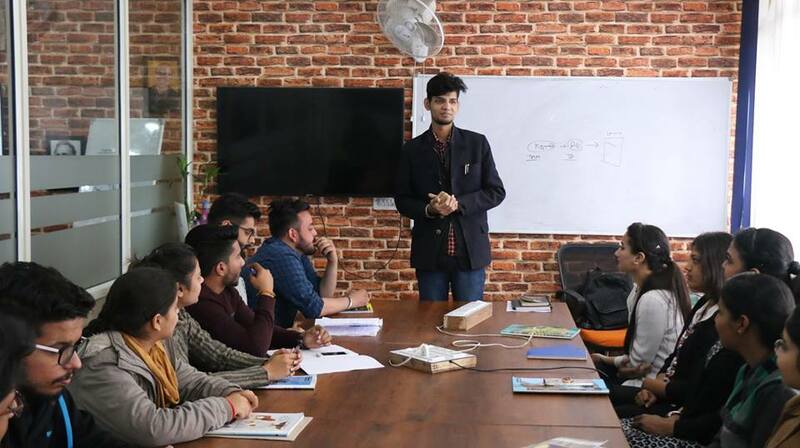 With a size of 5-10 students, we are able to provide an environment for best English Speaking Course in Chandigarh where students learn from their peers as well. Teachers encourage interaction within the classroom, which helps students to pick up the language faster. It is true that students tend to learn a lot from each other’s mistakes. This also helps students to gain the confidence to speak in front of others. When in class, the students of Surbhi Academy follow a step-by-step methodology whereby they can gradually teach English trainers who have worked with students of different difficulty levels. Students are able to grasp the language much faster, with our interactive learning courses. Who can take up Spoken English Classes in Chandigarh? There are many areas where you have to work if you are going to English speaking course. In short, you will be aware of the main parameters where you have to be focused and also you must be aware of all your weakness due to which you lack in the English language. So here is some field where we help you so that your communication skills will improve. In this, we will teach you how to use English grammar. Make you perfect intense, verbs, noun, pronoun etc. After this module, you will be able to speak English. we provide new five words per day. Make your practice of using these words. we teach you how to give an introduction. What should be included or not includes the introduction? In this module, we will give you role any celebrity. And have to play on the podium in front of everyone. The other will ask you questions and you have to reply. This module helps you to build you confident and improve English. This most important module for improving your English. we have sprat classroom for GD & debate. After class and before class you can join GD. Despite the fact that English is a global language most people are aware of only 35% of the words that comprise the language. For a good command over any language, one should have sound knowledge of grammar, ample vocabulary along with the excellent power of expression and articulation. In our institute, Our English Speaking course in Chandigarh Sector 34 has different modules, it is a one-stop solution for all your English needs. Don’t worry about making mistakes because you will learn many things from your mistakes. You can learn phrases which you can be used in many situations.that can be used in multiple situations. Learn how to greet someone properly. Talk slowly and carefully. Don’t rush through your sentences. Restrict yourself to simple sentences until you gain confidence. Watch out for your pronunciation. Many online tools will tell you how to pronounce a word correctly. Check one of them out when you’re in doubt. Carefully observe how proficient speakers of the language pronounce words and frame their sentences. Ask your friends, relatives and anyone you can to point out your mistakes and correct them. Speak to them in English only. Practice is a must. Well carry on, taught, disciplined students. Well arranged examination material for understudies Doubt clearing sessions for understudies at whatever point required by the ace coach. Result situated plans and execution to enable understudies to get the greatest out of the preparation. Positive learning air, Co-agent administration. Strong staff. Extra class for frail understudies if required.